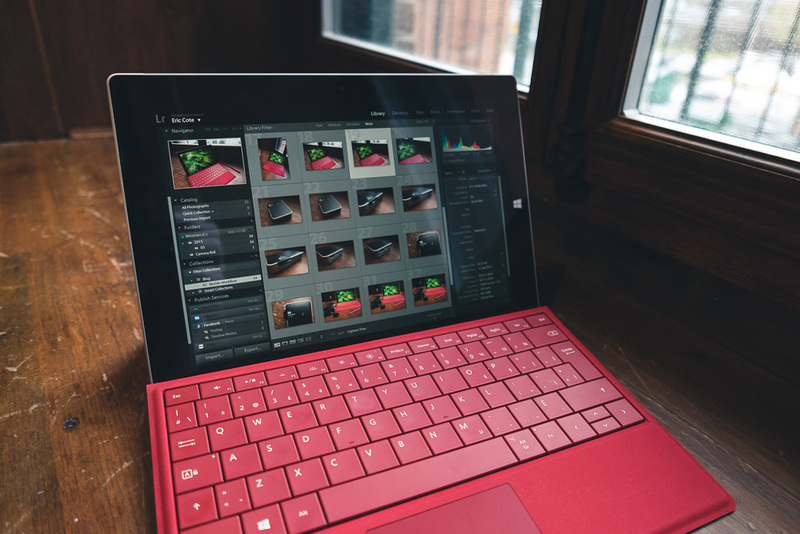 The first time I tried the Surface Pro 3 last fall, I was impressed by the build quality and the stylus. This thing is a full Windows machine in a tablet package. I was searching for a laptop computer at that time, but my budget was limited. I bought a little Asus laptop instead, and regretted it every moment since. The screen on my Asus laptop is unusable outside and barely usable on my kitchen table on a sunny day. I wanted a small computer to have with me when I travel or when I feel like doing some "work" in a coffee shop. 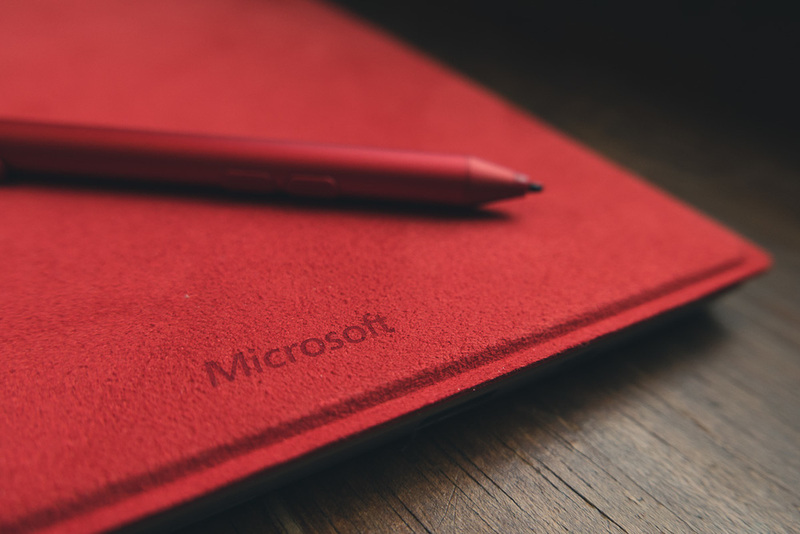 In April, Microsoft announced the Surface 3 which is smaller and have less computing power than the Surface Pro line. It looked interesting, but I was decided to wait for the Surface Pro 4, which should come out with Windows 10 this summer. Still, I started to read on it and watch reviews. 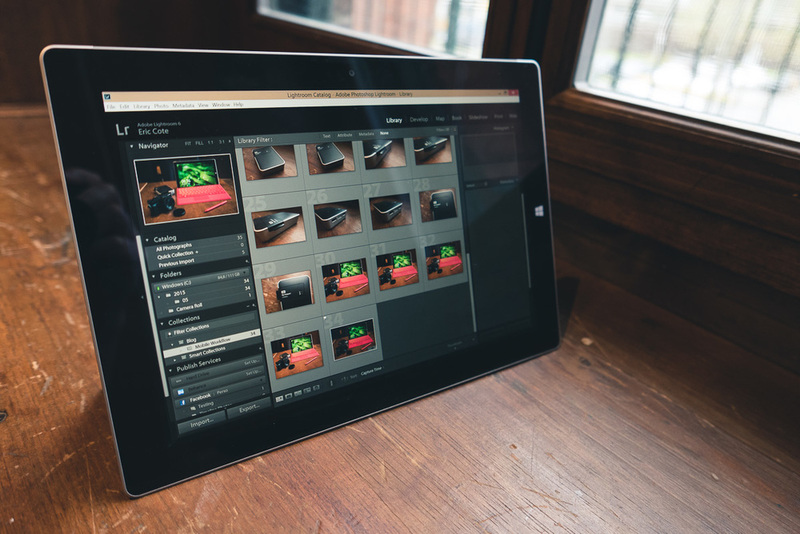 I thought about what I wanted to do with that thing: Adobe Lightroom, Microsoft Office and Blogging. I realized that the Surface 3 was all that I needed for that so I ordered one on the launch day, May 5th. The screen of the Surface 3 is gorgeous. It is bright, contrasty and the color rendering is great. This thing is surprisingly fast and it never become warm. It makes no noise at all since it is fan-less. It runs the full version of Windows 8.1 unlike its predecessors that were running Windows RT. That means you can run any Windows program on this little 10 inches tablet. It runs Lightroom 6 perfectly well, but not as fast as my office computer which has more RAM and a good video card. I had no problem culling and editing the photos for this post though. The Surface will get Windows 10 when it is available later this year. I bought the keyboard cover and the pen. Call me childish but I like to be able to pick the colors I want for those accessories. Microsoft really got it right with the pen. For those used to work with Wacom tablets, it is the same kind of pen (although not the same technology used). There is also a palm detection system which means you can use the pen the same way you usually write on a piece of paper, with your hand resting on the Surface. I tried different kind of pens with the iPad but without success. Using a pen with the Surface 3 is so natural and fun. The keyboard is large enough. The keys give a nice feedback. It is backlit if you want to use it in a low light environment. Like the pen and the tablet, it is very well built. It snaps into place with a magnet connector and you can even angle it for better ergonomics when typing. I read many complaints about the size of the trackpad, but did not have any issue with it myself. It is another piece of gear that was on my wish list since it was announced last fall. 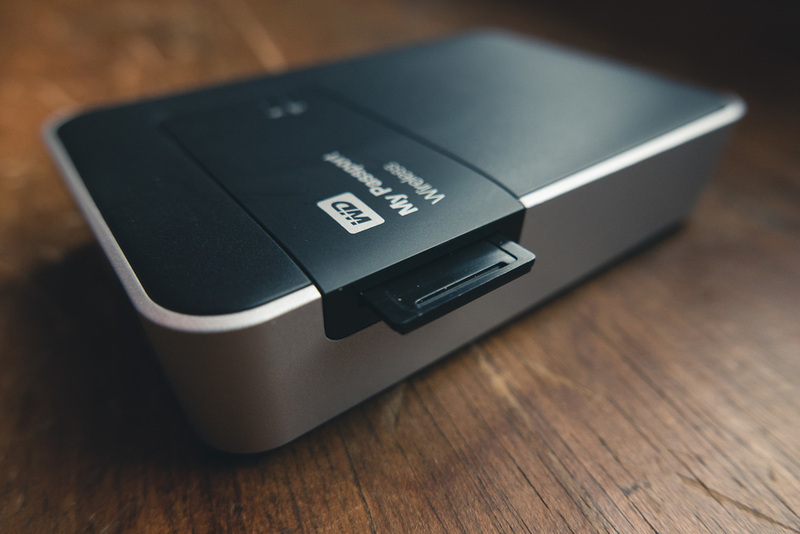 This is a USB 3 portable hard drive with WiFi and a SD card slot. This is the perfect backup device for me. You put your SD card in, hit a button and it copies all the files to the disk. You can connect to it via WiFi with a phone, tablet or computer. If you have a lot of files to copy from the disk to a computer, I suggest using the USB 3 cable. The transfer will be a lot faster. The copy from the SD card to the hard drive is fast though. I will test it more at my next wedding in a couple of weeks. It will also come handy for long road trip with the kids. This drive can stream to up to 4 devices at the same time which means my three kids can watch different movies on their iPod or tablet during the trip (or listen to music stored on the drive). I have the 2TB version of the drive so storage capacity should not be a problem for a while. I had the Surface 3 and the WD Passport Wireless for only a week, so it's hard to have a definitive verdict on those two pieces of gear. So far, I'm loving it. Mobility is such a great thing. I reduced the size and weight of my camera kit, so it seems natural to reduce it for my computer too. I will work on full reviews of the Microsoft Surface 3 and the WD Passport Wireless. With the weather finally getting warmer, I won't set any dates for the reviews but I can tell you I will probably writhe them outside on my new Surface 3.